A re-taken penalty and a spectacular strike from Iain Vigurs helped Inverness to a 3-1 victory over Motherwell at Fir Park. Greg Tansey opened the scoring from the spot at the second attempt in the 11th minute before Miles Storey's deflected strike and a Vigurs volley either side of half-time put the visitors three ahead. Louis Moult soon pulled one back, but Caley Thistle ultimately held on comfortably for three Ladbrokes Premiership points. Well's misery was complete when Stephen McManus, who had conceded the penalty, was sent off at the death after picking up a second yellow card. Inverness had already had one penalty appeal, when James Vincent went down under Josh Law's shoulder charge, before Craig Thomson pointed to the spot. Tansey's corner had gone over the head of McManus, whose arms were raised and back was to the ball when Danny Devine's header hit his hand. Connor Ripley pushed away Tansey's low effort and Law headed behind for a corner, but Thomson ordered a re-take for encroachment and the midfielder sent the Motherwell goalkeeper the wrong way at the second time of asking. Caley Thistle had a swift chance to double their lead, but Vincent could not get hold of his shot and Ripley saved. Motherwell then found their attacking impetus after a slow start. Moult threatened from two headers, Marvin Johnson shot over, Joe Chalmers had a free-kick saved and Law flashed a 20-yard strike just wide after a good run from Johnson. Lionel Ainsworth and Law both wasted chances to deliver a telling ball from the right side of the box after doing well to get there as Motherwell dominated. Vincent fired just wide before Caley Thistle lost Ryan Christie to a knee injury after he charged down a clearance. The on-loan Celtic player looked in some pain as he was helped off, before being replaced by Dani Lopez. Motherwell continued to press, but Caley Thistle went two ahead following a throw-in deep in the Motherwell half in the final minute of the half. Storey retained the ball following a challenge from Stephen Pearson and fired a shot from 20 yards that deceived Ripley. Liam Grimshaw curled a shot off the Inverness bar in injury-time and Vigurs returned to haunt his former club eight minutes into the second half when he caught Tansey's corner flush on the volley and smashed the ball into the top corner from 18 yards. 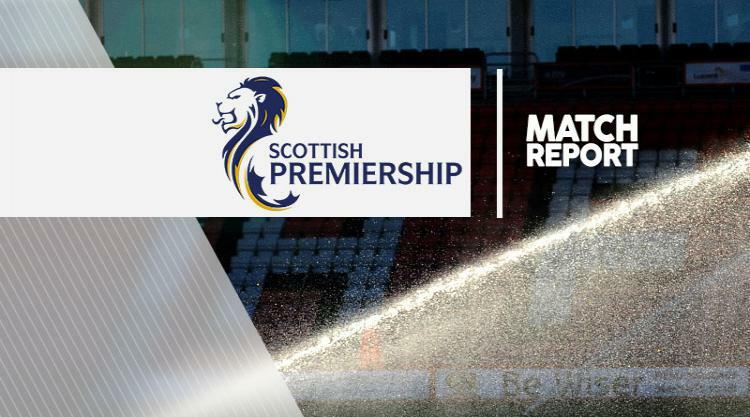 Motherwell got a lifeline five minutes later when Ainsworth's cross dipped over Inverness goalkeeper Owain Fon Williams and Josh Meekings could only help the ball into the net after Moult had turned it on target. The home side sensed a comeback and Johnson had a curler saved before Pearson beat a man in the box and shot just over. But they lost their initial momentum and their hopes faded after Wes Fletcher lost his footing when presented with a decent chance before fellow substitute Theo Robinson was flagged offside before lobbing home. And home defender McManus was sent off in the dying seconds for catching Lopez with an arm to earn a second booking.